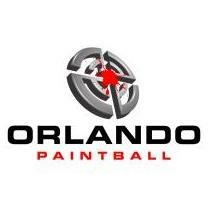 MINIMUM AGE REQUIREMENTS: Paintball - 9 Years old; Lasertag - 6 years old. 2. I hereby release, remiss and forever discharge from any claims and liabilities whatsoever without limitations that I might have against the facility owners or operators, (where ever located and whenever I might play) or any operator or their personal, hereafter called the Sponsors and the Property Owners, indemnifying attorney's fees and expenses), damages and liabilities arising out of, connected with or resulting from my playing the Game, including, without limitation, those resulting from the manufacture, selection, delivery, possession use, or operation of such equipment. I hereby release the Sponsors and Property Owners from any and all such liability, and I understand that this release shall be binding upon my estate, my heirs, my representatives and assigns.